Ever-evolving and perpetually defying convention, Gossip is back with their fifth studio album, A Joyful Noise, set to be released on May 22. A Joyful Noise was produced by pop genius Brian Higgins (Kylie Minogue, Pet Shop Boys, Girls Aloud). The album`s first single, "Perfect World," will be released as a digital single (see full track listing below). 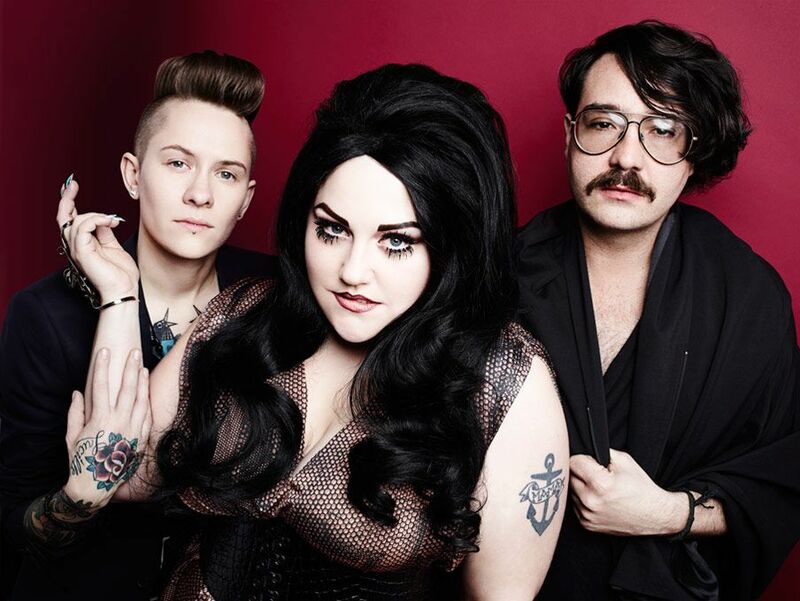 A blend of soul, gospel, rock, funk, disco, punk, passion and rebellion, Gossip is comprised of vocalist Beth Ditto, guitarist Nathan Howdeshell, and drummer Hannah Blilie. Originally formed in Olympia, Washington in 1999, Gossip first garnered attention in the UK with the release of their 2006 breakthrough album Standing In the Way of Control, and they have been in the spotlight ever since. Their most recent album, 2009`s Music For Men, sold over 1 million copies globally and was raved about on both sides of the Atlantic, with Clash declaring it "the most euphoric thing you`ll hear this year." Gossip`s front woman, the irresistibly bold and challenging Beth Ditto, whose new makeup collaboration with MAC Cosmetics will launch this summer, makes it impossible to not fall for the band. Best captured by Billboard, Ditto "employs all of her hard-edged sexiness and manages to charm with an appealingly intimidating allure," instantly reeling you in. Recorded in both Xenomania, Higgins` studio in England, and KBC Studios in Portland, Oregon, A Joyful Noise stays true to Gossip`s trademark brash and unapologetic nature � that is, as true as possible for a band that is constantly reinventing itself and pushing boundaries. Working with Higgins, Gossip sought to create their own brand of pop. Ditto proclaimed, "I spent the whole year listening to ABBA and not listening to the radio," accounting for the pulsing energy of A Joyful Noise. The album`s infectious tracks will certainly be welcomed by fans who are already entranced by Gossip`s insanely danceable beats, and will no doubt lure in many more. Since their previous studio effort, Gossip have toured extensively, covering the major music festival circuits, making appearances at Coachella in the US, Rock am Ring in Germany, and Glastonbury in the UK. Their live shows are touted as one of the best around, with NME dubbing them "The greatest punk rock`n`roll disco soul band on the planet" and insisting "Everyone needs to hear this band and dance like there`s no tomorrow." Gossip`s performance at SxSW 2012* in Austin, TX will be live-streamed this week on Thursday, March 15th, and the band will kick off a Summer European tour shortly after the release of A Joyful Noise.